Sony's PS3 virtual world, Home, has already been hacked, with developers having discovered ways to exploit vulnerabilities within the software's code. 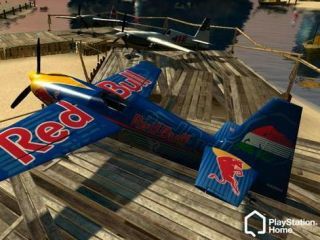 According to reports in the Telegraph this week, the hack allowed the developers "to customise their PlayStation Home experience beyond the options provided by Sony." The report continues: "One hack uses a combination of the Apache web server and DNS re-direction to allow users of PlayStation Home to watch their own movies on display screens within the game, and change text and music to whatever they choose. "A second hack enables players to download any file they want from PlayStation Home's servers, such as a fellow user's profile or avatar, the cartoon-like representation of themselves they create to appear in the virtual world." Most worryingly, the report adds that the developers found a "security loophole" that allows them to upload or delete any file to or from the Home server, which means that it is potentially an option for hackers to spread viruses through Home. "There's speculation that Sony may legitimately open the Home platform to third-party developers to build and create additional features for the online universe," adds the report.